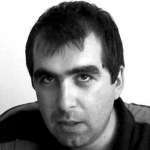 Ştefan Guga is doctor în sociology (CEU Budapest). He works în Bucharest as an economic and social expert. Together with advocate Camelia Constantin Guga is the author of the report “Analysis on the impact of the new social dialogue legislation, which was adopted in 2011”. Baricada has presented some of report’s findings and data together with those from the report “Atypical labour in Romania” (again by Ştefan Guga) in the article “Romanian economic dream is based on tears”. Mr. Guga, Bulgarian business believes that changes in the Labour Code în Romania, that were made after the beginning of the global economic crisis, are an example to be followed. According to the Bulgarian Economic Chamber these changes are the main cause for Romania’s exceptional growth today. How do you evaluate these changes in the Labour Code? What is the secret of Romania’s economic success? It is difficult to say how modifications of labour legislation în 2011 influenced the evolution of Romania’s economy in the last years, even though there are many indicators showing that the macroeconomic impact of these changes was not what their promoters expected. Would Romania have registered the same present rate of growth if labour legislation was not changed? I would say: “Yes!” It is worthy to remember that politicians and representatives of business circles, who have supported the changes in legislation, used to promise an immediate and spectacular recovery of the labour market after the major decline of 2009/2010. In their view the new legislation would have contributed to opening of hundreds of thousands new jobs, to reducing unemployment, to lower levels of work without contract, to general well-being for the working people, etc. At that time changes in labour legislation were promoted as a panacea which will take the country out of the crisis immediately. We know that the situation didn’t develop in accordance with this scenario, which was not convincing from the very beginning. We can’t speak about an economic recovery in Romania before the beginning of year 2015 – whole 4 years after the adoption of new legislation. Labour market got close to the its 2008 level no earlier than in 2017. It happened on the basis of an accelerated economic growth, which was not related with the applied labour legislation, but with the dynamics of external economic relations. In the last years the processing industry and key sectors such as IT developed, using foreign investments and the demand of foreign market. On the other hand, the governments of the Social Democratic Party adopted an expansionist fiscal policy, as they united fiscal relaxation with rise of salaries, including of the minimal salary and of the salaries in the budget sector. In this mix of causes for the economic growth enter other elements too, such as cheap credit, which was the result of very low interest rates. Real estate market in large cities such as Cluj Napoca exploded in the last years, while the real estate market in Bucharest entered in a phase of accelerated growth. Another factor for the economic growth was leu’s devalorisation at the end of 2008, which influenced positively the competitiveness of Romanian goods on foreign markets in the middle and long term. At the end, a lot of factors have to be taken in consideration if we want to evaluate the macroeconomic trajectory of Romania in the last years. Labour legislation is not one of these factors or at least is one of the least important factors. It can be even argued against it, because its adoption was unfavorable for workers. It has eroded the role of labour union organizations and of collective negotiations. These negative developments have deepened the macroeconomic disbalances, which were already visible in the present: the distribution of income which is unusually favorable for the capital and unusually unfavorable for the labour, demographic vulnerabilities, the chronic lack of labour force in some regions and sectors of activity. So labour legislation hasn’t taken Romania out of the crisis at all. 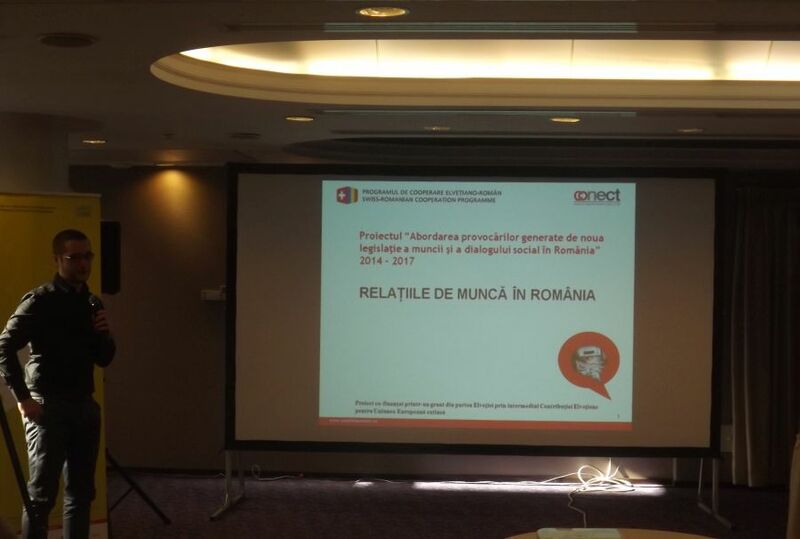 Instead, representatives of business circles in other countries probably try to force the adoption of such favorable for them legislation, using the case of Romania. We should all understand that economic growth doesn’t automatically lead to rise of well-being, at least not for the majority of population. In Romania the positive macroeconomic evolution of last years comes together with strengthening of inequalities – between capital and labour or between workers with high and low income. Other negative tendencies are precarisation of labour and of workers’ status at the labour market, strengthening of dependence upon the competitive advantage of cheap labour, the massive emigration, the ever higher rate of indebtedness of population, accelerating deepening of the differences in the region’s development, the decline of public services (education, health, infrastructure, and others) and many other developments that can’t be associated with rising well-being. Also these tendencies don’t show that the country will be able to pay the temporary costs for achievement of long-term goals. Of course, all these developments are a continuation of an evolution that has been going on before the start of the crisis in 2009. The anti-crisis policies in the period 2010-2011, among which is also the adoption of new labour legislation – didn’t aim at elimination, or even at amelioration of these structural tendencies in Romanian economy. What has been done than has only contributed to the strengthening of negative tendencies, once Romania goes out of the crisis. Ten years after its entering în the EU Romania marks a big growth of GDP/locuitor (PPP), starting from 41% of the EU medium în 2007 and reaching 59% of the EU medium în 2016. According to the earlier presented data by you Romania is a leader în the growth of salaries în the EU. At the same time at this moment 32% of those working at a complete work time do it for the minimal salary. This procent will probably rise additionally, after the minimal salary rises to 1900 lei (around 400 euro) from 1 January 2018. How are these contradictory informations explained? How the excellent economic growth în Romania is distributed among population and how does it influence the income of various social layers of population? Aggregated indicators such aș GDP (total or per capita) don’t really show a general rise of well-being, even if this is presumed. În general, there is an empirical correlation between GDP/capita and the level of well-being, but it is not valid automatically în any conditions. The extent to which the rise of GDP transfers în growth of population’s well-being depends on many other factors, among which is the dynamic of income inequalities, the standard of life or the evolution of public services. We can’t speak about well-being, when economic growth is beneficial only to a minority or when it comes together with the consistent destruction of public services. As far as salaries are concerned, on the average salaries have risen a lot in the last years in comparison with Western Europe, but this is true also about all the other countries in Central and Eastern Europe. Even if this fact is auspicious, we need to take into consideration a few important aspects. First of all, the procent dynamics doesn’t give a lot of information, when the countries compared differ a lot. A rise of 80% of minimal salary in Romania after 2011 looks spectacular, but it means only 125 euro gross additional monthly income. If we take the example of Luxembourg, where salaries are at the highest level in the EU, the avarage salary has risen with only 4% between 2014 and 2016, but these 4% mean approximately 160 euro additional income every month. This growth has taken place in 3 and not in 7 years. So, differences in payment between West and East may even rise, even though there are positive tendencies in the East. Procentual developments could be misleading in the case of Romania, where the starting income base is very slow. Even salaries constantly rise at a high pace (e.g. 6% every year), Romania will need a few decades to overcome the enormous difference vis-a-vis countries such as France, in case salaries there rise with let’s say 1% annually. As far as the purchasing power is concerned, things seem to be better, but not much better. The scenario for maintanance of the salaries’ growth pace seems impossible in the long term. Romania can’t support its status of a „low cost” location for the foreign capital (and why not for the național capital), if it lifts strongly the salaries. At this moment the differences with other locations as costs are sufficiently high and can permit the continual rise of salaries without threatening of the competitive advantage of reduced costs, but this is not sustainable in the long term. That is why more and more we hear discussions about the “medium income trap”, towards which Romania seems to be heading to. The articulated solution – shifting towards production of complex goods and services with high added value, which are to a lesser extent depending on the changes in the production costs – seems impossible. It makes necessary an inversion of the actual tendencies of inequality strengthening and survival of public services. The paradoxal combination between significant rise of salaries and attempt to sustain at any price the competitive advantage of labour force is obvious if we analyze the minimal salary. It has seen a spectacular evolution in the last five years, which was felt by people paid at it. Its rise however didn’t cause a similar rise of salaries which are below the average one. They have either stagnated, or have risen very little. One effect of this development is that those are paid at a minimal salary rose from below 10% in 2011 to 32% at this moment. Both private employers and the state have tried to amortize the impact of minimal salary’s rise through compromising (or even de jure or de fact eliminating) the minimal income charts for various economic acitivities. The fiscal relaxation in last years also aimed at amortizing the impact of salary rise. According to an analysis of National Bank of Romania the reduction of CAS with 5% at the end of 2014 had compensated completely rises of minimal salary in 2014-2015, as they have led to a reduction of the total labour cost for employers in most of the economic sectors. It remains to be seen how long could this equilibration be sustained. The rise of minimal salary has contributed only to the limitation – temporal or not, of the very strong tendency for income’s distribution in favour of capital and not in favour or workers. The significant rise of the number of salaried workers, who are paid at the minimal salary together with its rise is maybe the most important and visible consequence of the organised distruction of workers and of collective negotiations in the last years. The collective labour contract at national or sector level used to have “coefficients of salary payment”, that used to raise the salaries according to the necessary qualifications at the jobs, with the minimal salary, taken as a base. There used to function income charts for various economic activities (in case these collective contracts were respected, which was not always the case). We can really expect a rise of the number of salaried workers who are paid at the minimal salary, once that it reaches the level of 1900 lei (400 euro) gross. This rise looks spectacular, but is a lot more modest, if we take into consideration the massive rise of social contributions payments, which are to be made by the employees. Romania is considered by Bulgarian business expertsto be an example to be followed. They say that the elements of its model – such as attraction of foreign capital, competence of financial institutions and flexible exchange rate (lack of currency board) lead to advanced economic development. Are these elements the most important ones when we speak about the Romanian economic model? What is the role of the Romanian leu for the economic development, when we take into consideration the fact that the exchange rate was held by the Romanian National Bank relatively constant vis-a-vis euro în the last few years and the leu was devalorised only this autumn? I insist that we can’t speak about “advanced economic development” in the case of Romania. At least we can’t say in the sense of general rise of well-being and progress of the whole society, outside the positive evolution of macroeconomic indicators. Direct foreign investments attracted by Romania look for cheap labour. The socioeconomic impact of those investments is relatively limited, at least if compared to the expectations and promises, expressed by the government and the business environment. A good example is the so-called “jobs creation”. Indeed, the number of jobs has grown significantly in the last period, but there is no care about the quality of those jobs or about the phenomenon of labour’s precarisation (where we could include also the rise of the number of salaried workers paid at the minimal salary). As far as the “competence of financial institutions is concerned”, let’s not forget that as the economist Cornel Ban showed the main channel through which crisis entered Romania was the financial-bank one. The crisis showed among other things the risks of a bank system held almost completely by foreign capital (risks which the recent analyses of Romanian National Bank claim to be reduced or eliminated over time). Crediting is a threat again in the context of economy’s recovery in the last years. If interest rates on mortgages rise (they are predominantly with a variable interest rate), the situation can get worse rapidly. If another crisis starts, the space for maneuvers of Romanian National Bank will be limited, because interest rates are already very low. As far as the exchange rate is concerned, it is not clear at all what will happen in the mid-term. Indeed, the Romanian National Bank has announced that it will adopt a more “flexible” policy with regard to the exchange rate. However it is not clear to what extent we can talk about a gradual devalorization of the leu vis-a-vis the euro. This autumn’s devalorisation is relatively insignificant (after 2008 there were values of 4,6 lei/euro other times too). It is not comparable to the massive devalorisations of the past. The last major devalorisation took place in 2008. Of course, it is posible to amortize the impact of salary rises on foreign investsors labour costs through devalorisation of the euro. But this will liquidate the positive effect of these salary rises if we speak more generally for the purchasing power of population. At this moment a large part of the goods and services for the population are imported or are transactioned in euro (e.g. the real estate transactions or the mobile phone services). On the other side, the maintainance of consumption levels in the context of leu’s devalorisation would lead to growing trade balance deficit – what Romanian National Bank fights against. That is why it is premature to speak about such changes of economic policy. To what extent does the economic model, applied in Romania and Bulgaria, related with reduced taxes upon capital, relative low income and reduced protection of labour, could lead to overcoming of the distance in the standard of life between our countries and the other countries in the EU? Do we need an alternative to this model and what it could be? I have already answered the first question. In the best case we will reach “the average income trap”, in which the economic growth and the rise in well-being will be limited by the impossibility to overcome the development model, based on reduced labour costs, which will stop at the “average” level. At this moment we can’t speak about a significant reduction of the distance in development between countries such as Romania and Bulgaria and western countries. Surely, there could be a certain appropriation, but it will not be significant, stable and long-term one. An alternative is being spoken out relatively frequent: switching to developmentalist policy, which is to aim at the structural transformation of economy towards production of goods and services with high added value, which are less dependent on changes of labour costs. It could lead to greater income for workers and greater income for budget. At the same time it would mean a more equitable distribution of income between capital and labour, functioning pubic services, accessible to more people, etc. It remains to be seen to what extent is this scenario viable, from politic point of view in today’s context. If we look around, it looks even utopian. A second alternative, also pronounced often, is the slipping into a right-wing populism, which becomes more and more visible în Europe and în the world. It is what is called an illiberal democracy, where government is departed from the citizens, civil rights are limited, nationalism (together with xenofobia, rasism and other) dominates the public space, and so on. It is not a real alternative, if we bear in mind that we have been in such a situation for almost a decade. The fracture between citizens and “political class” is obvious in Romania, but the anti-democratic discourse dominates the public space without meeting any resistance. It is a discourse, shared by both the new and the old parties, and is used also by the so-called civil society. Of course, there is also a third alternative – a radical left one, but from the political point of view left is irrelevant today and its entering in discussions can be made only for the love of arts. From political point of view things are very clear. The probability to see a surprise is very low. The moment of surprises has gone away probably with Unions “Save Romania”’s result at the December 2016 parliamentary elections. It is clear in what direction things go economically and socially. This apparent stability hides a major uncertainty.